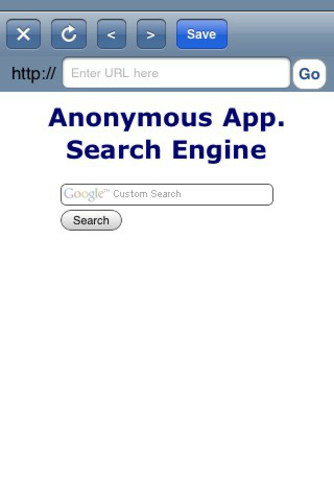 Our web browser for iPhone and Ipod touch will browse any page without leaving a history. With this application you do not need to clear your history, cookies or cache; no more auto-completion of undesired urls! Thats not all: Your homepage runs an unfiltered search engine! You will be able to see some results that normally do not appear in regular search engines. Just imagine all the possible uses of this application. Unlike other applications we have added the BLACKOUT feature. To activate it you simply have to press on the "http://" area. The navigation screen will then turn black instantly. To go back to navigation mode simply touch the blackout screen, its that simple! 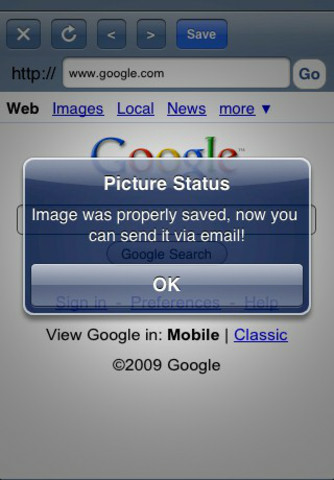 Additionally to the great features of our original application, we have now added the SCREENSHOTS feature. No other application out there will give you the option to take screenshots of your web browser! Even better, take shots at pages that will then get erased from your browsers history for privacy purposes so you don't get caught! Imagine being able to keep a sample of that web page for future reference or even better; being able to email it to a friend! 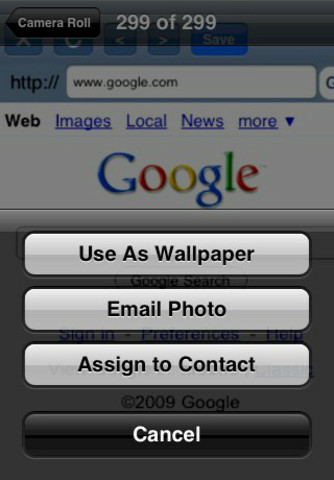 If you like that picture that much you can also set it as your wall paper background or assign it to a contact's picture. Finally you can enjoy the privacy of web browsing at your finger tips, and keep the best of it for yourself! We are constantly working on this and our other applications; please send any ideas or suggestions to info@gp-imports.com.